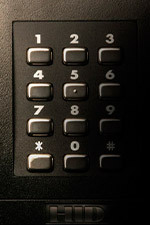 Group 1 Security is your one stop shop for electronic security systems. 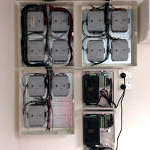 Regardless of the size or complexity of your requirements we will tailor a system to meet both your needs and budget. Our highly skilled and qualified project managers will be your initial point of contact, taking into consideration your requirements, budget and time frame. From there they will manage everything for you from the initial design through to installation and training. 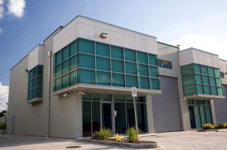 Our team of highly skilled technicians have completed a multitude of projects ranging in price from $5,000 to $600,000+; from single site dwellings through to high profile distribution centres and shopping centers. Following are just some of the services Group 1 Security’s electronics team can deliver. A good alarm system is a critical component for even the most basic protection of a business or property. Whilst the process of selecting an alarm system may seem daunting Group 1 Security's electronics team take the guess work away and will provide you with a range of options suitable for your requirements. So whether you have a single door to protect; an entire high rise or anything in between Group 1 Security has the latest technology and skilled technicians to ensure your premises are secured to a level guaranteeing peace of mind. 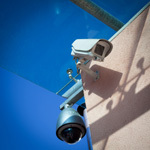 More and more people are moving towards the use of CCTV for both businesses and private premises. Not only does it act as a visual deterrent against wood-be offenders it has become extremely useful in defending against claims of slip/trip injuries. 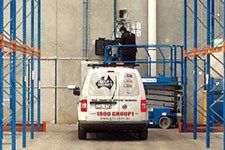 Group 1 Security's consultants can carry out a risk assessment of your property to ensure camera placement maximises the protection of your premises. Whether you want a system that records based on movement only, records continual day & night or you want to be able to access your cameras via your smart phone we can provide the solution appropriate for you. Access control systems allow you to control and audit the movement/s of your staff and/or visitors to your premises. Whether you want an access control system integrated with you alarm and CCTV systems, restricted swipe card access for your doors and parking areas, thumb print sign on/off bundy system for monitoring your staff or swipe access on a single door Group 1 Security has you covered. If you are unsure of your requirements speak to one of our consultants about your needs and we will tailor a package to suit. 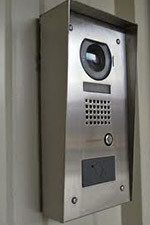 Intercom systems play an important role within a security system whether for business or private use. With current video technology you can comfortably view who is trying to contact you and make a decision whether you want to let them into your premises without having to have any face to face confrontation. If you are looking for some form of security on a tight budget a security intercom system could be just the solution for you. Our alarm monitoring centre is a certified grade A1 control room meaning it has all relevant redundancies and is operational 24/7 ensuring your premises are always being monitored. So if you are looking for peace of mind when it comes to securing your property come and have a talk to us about the range of options we can provide at very competitive rates.